A children’s playset can be a wonderful, welcome addition to any lawn. When incorrectly installed, though, it will be an outdoor feature that will look out of place in your property. It won’t improve your curb appeal and worse, it will be a playset that won’t be safe for your kids to play in. In addition, make the sure installation site is spacious enough so that the kids can run around it. Lastly, the playset should be placed somewhere you can see out a window so that you can watch your kids play even if you are inside your house. If the best site for the play equipment is uneven, level the ground first. You can fix any leveling issues in the area by digging the soil and redistributing the dirt. Next, rake the soil smooth and pack down the dirt as much as possible. Check the area’s level again and continue leveling it until you have a flat, even area. While leveling the area, take the time to remove any large rocks from the site. In case you don’t feel like taking on this task, you can always hire a landscaper to do it for you. Your choice of play equipment flooring will go a long way in keeping your kids safe while they are playing. It will also add to the visual appeal of your outdoor space. 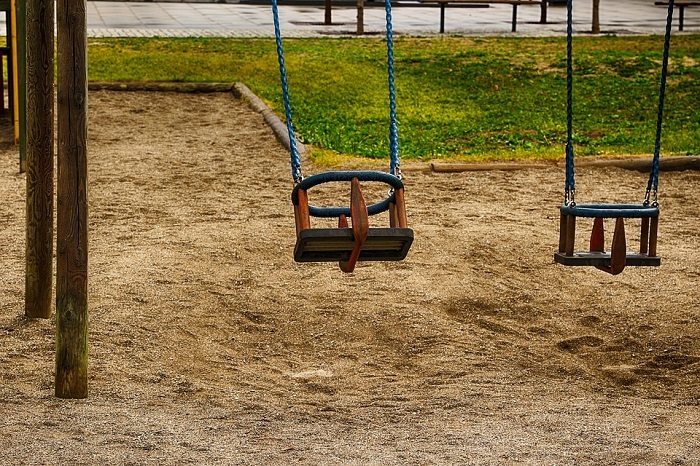 Playground rubber flooring is one of the most recommended options. They come in different levels of thickness so you can choose the most comfortable one to walk on. Rubber mats with a soft texture can also reduce high-fall risk. Rubber pavers are also durable and are easy to maintain. Additionally, they come in different hues; you can choose a color that complements the playset or your lawn. Sand is also another popular ground covering option. It is affordable and provides a cushion for children. However, they require more maintenance. You will have to check the sand for any hazardous objects frequently and replenish areas that have become shallow. 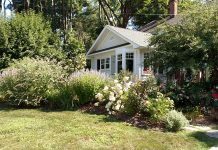 If you are having a hard time choosing a ground cover, focus on picking a product that is safe, low-maintenance, affordable, and will complement your outdoor space. Lastly, to establish the designated area for play, keep the ground cover where it belongs, and ensure the play area blends in with the rest of your outdoor living space design, create a border around your at-home playground. You can choose from different designs and sizes of landscaping rocks or decorative stones to create the play area border. These products are always available at your local gardening or landscaping store. There are also many easy-to-install playground border kits which you can get online or at a home improvement shop. Some playground borders are made of rubber and, hence, are soft, and won’t injure your kids if they accidentally fall on the edging. Before installing the playset, make sure to read the instruction manual. Follow all the steps methodically and make sure you have the right tools for assembling and setting up the equipment. Finally, don’t hesitate to get help when installing the playset. It is important that the equipment is installed properly so that your kids won’t get hurt whenever they are in the area. 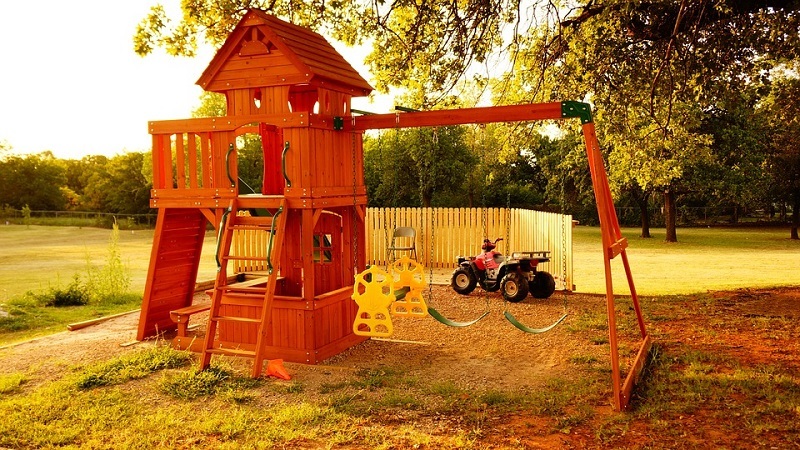 And when the playset is installed properly, it will also enhance and not detract from the overall appeal of your lawn.